The personal archive of “Gone With The Wind” star Vivien Leigh has been acquired by London‘s Victoria & Albert (V&A) Museum. The archive includes personal diaries and letters to her husband Sir Laurence Olivier. The museum said it bought the archive from Leigh’s grandchildren for an undisclosed amount. The collection also includes photographs, her awards, annotated film and theatre scripts, and thousands of letters from some of the most famous names in world history including Sir Winston Churchill, TS Eliot, Marilyn Munroe, the Queen Mother, and Noel Coward. More than 200 letters exchanged between the screen legend and Olivier who was married for 20 years exists. 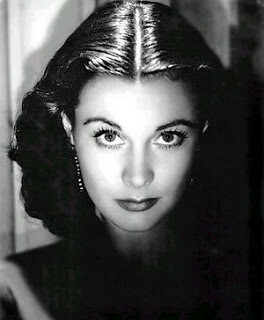 Leigh won the Best Actress Academy Award for playing the strong-willed heroine Scarlett O’Hara in the American Civil War epic GWTW. She was also famous for the role of Blanche Dubois in the film version of the Tennessee Williams play “A Streetcar Named Desire“. The British-born actress died of tuberculosis in 1967 at the age of 53. Items from the collection, which have never been on show before, are expected to go on display in October.